INDIANAPOLIS - Local driver Ed Carpenter has made himself at home on the Indianapolis 500 pole. The last of nine qualifiers to take the track, Carpenter bumped James Hinchcliffe from the top spot, posting a four-lap average of 231.067 mph to win the 500 pole for the second straight year. "I felt that it was harder," Carpenter said. "It was just a different position because when I made my run last year, we didn't really have anything to lose. This year, being the last guy to go out, I think there was a little bit of pressure to not mess it up." He didn't mess it up, not at all. Carpenter's No. 20 Chevrolet was the car to beat all weekend, and the hometown favorite showed no signs of rust in his first IndyCar Series race of the season. 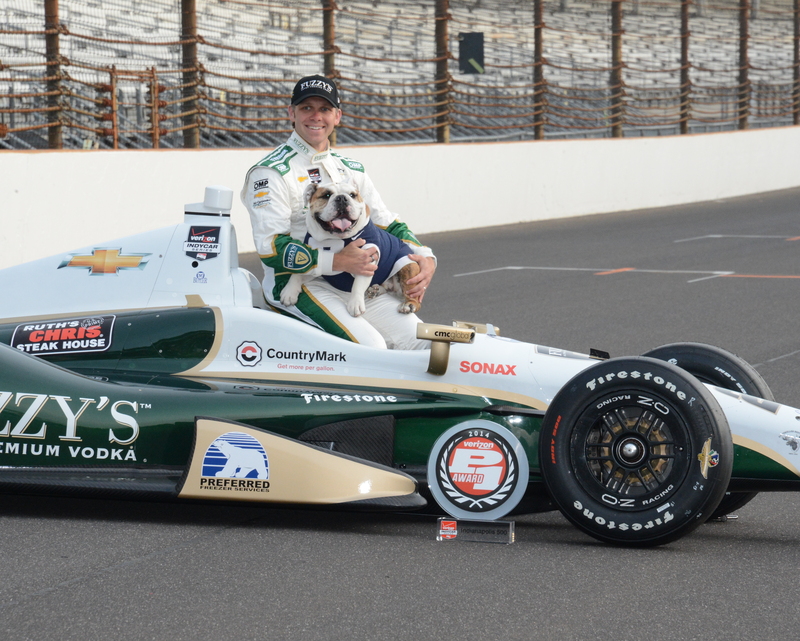 He owns Ed Carpenter Racing and decided in November to run only on ovals, where he excels. He turned his car over to Mike Conway on road and street courses, and skipped the first four races of the season. He knew he had the pole secured when he nailed the final two corners on the last lap. "I could really just kind of enjoy it knowing that we were going to be on the pole for the second year," he said. Hinchcliffe will start second after sustaining a concussion last weekend in the Grand Prix of Indianapolis. Will Power will join them on the front row. Carpenter, the stepson of former speedway executive Tony George, was 10th in last year's Indy 500. He is 11th driver to earn consecutive 500 poles and the first since Castroneves in 2009-10. "It's all about the race," the 33-year-old Carpenter said. "Hopefully, we can close the deal this year." "I wish we could have got him up on the front row with us, but the shootout's tough," Carpenter said. "The conditions were hard today, but having him go first today also helped me because we were able to make an adjustment." Carpenter thrived in the first year of a new Indy 500 qualifying format. He posted the top qualifying speed Saturday when the fastest nine drivers advanced to Sunday's shootout for the pole.